Will You Help Sustain Our Co-op in 2017? 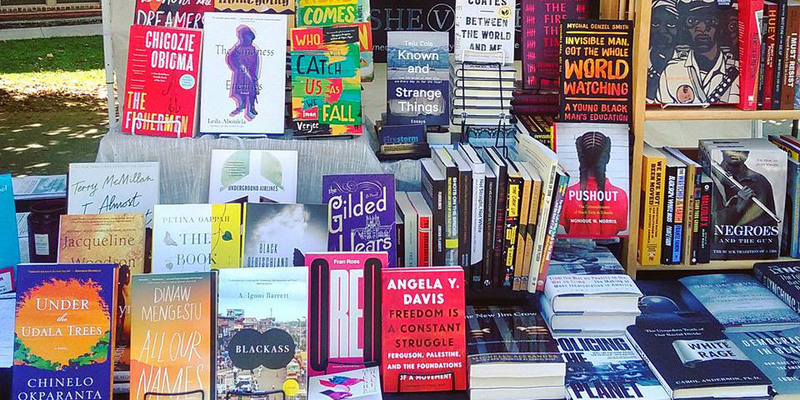 Asheville Goombay Festival may be over until next year, but you don't have to wait until 2017 to read some incredible literature by authors of African/Caribbean heritage! This month our co-operative turns eight years old and anyone who's celebrated more than a couple of those birthdays with us knows that we've never really settled into our age. We had such a great time at the Asheville Zine Fest that we decided to continue the fun... all month long! 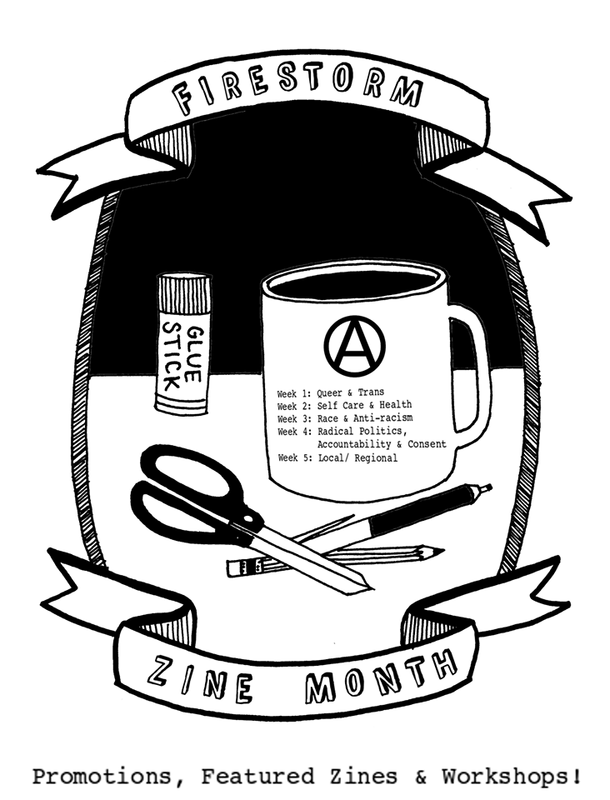 Each week we'll feature a curated selection of zines on a different theme. 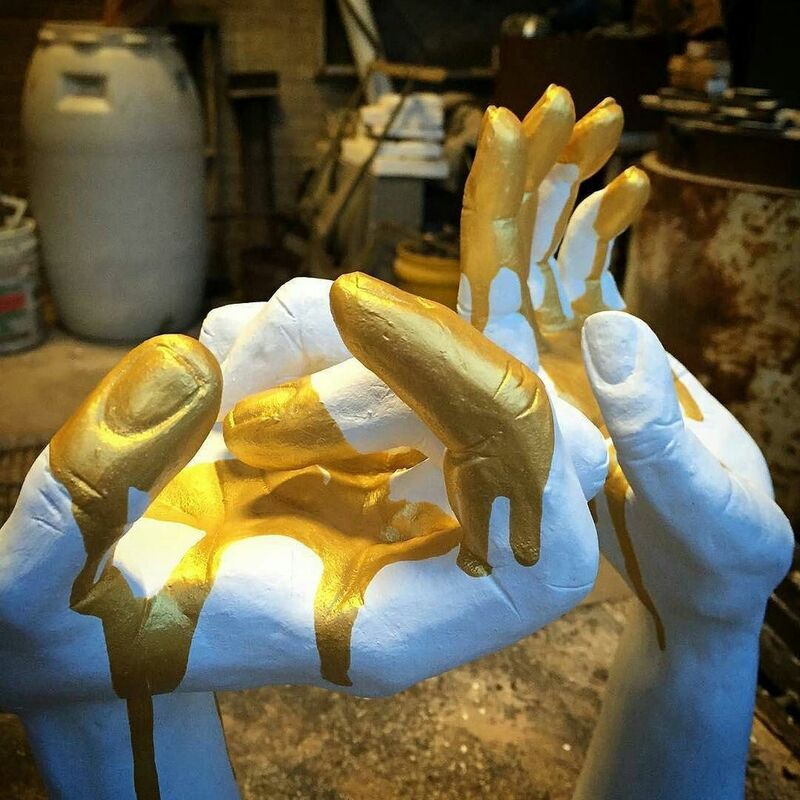 We are asking interested artists to submit two to three pieces for consideration in our June exhibition. Please read the submission guidelines. Whether you love the holidays or canâ€™t escape an obligation, checking off even a couple names on your list with a visit to our co-op will have a considerable impact! To celebrate Small Business Saturday, we're teaming up with other local, independent bookstores to offer an exciting day of promotions and activities. 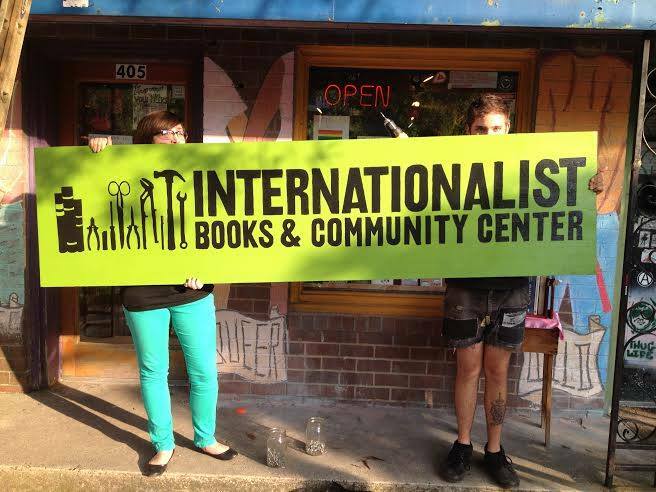 Don't forget your Indie Bookstore Passport! Our mural is completed! Big thanks to artist Austen Mikulka and Rental All on Hendersonville Rd for letting us keep the scaffolding two extra days with no charge when it rained. 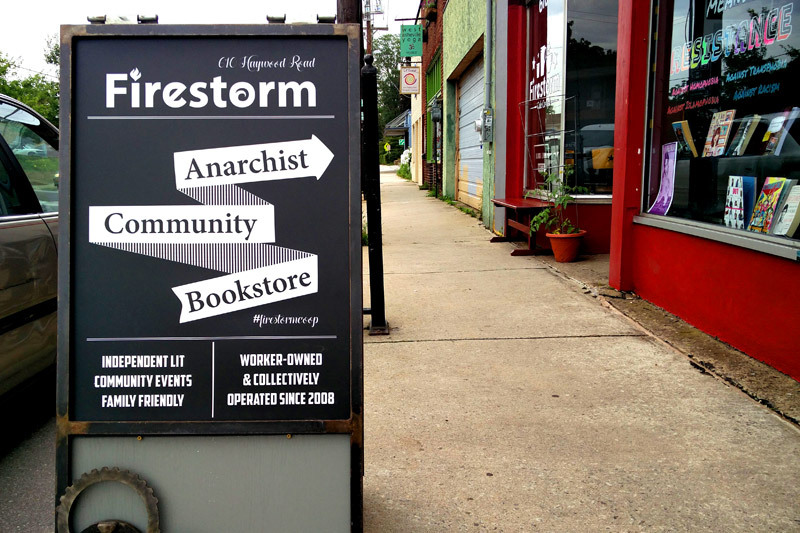 We're seeking financial support for a new event series designed to bring radical and progressive voices to Western North Carolina. Our collective is excited to announce the launch of two in-house book groups! Members will meet monthly to discuss books of literary and social significance.